What advantages will I get if I upgrade my Zynga Poker account to VIP? 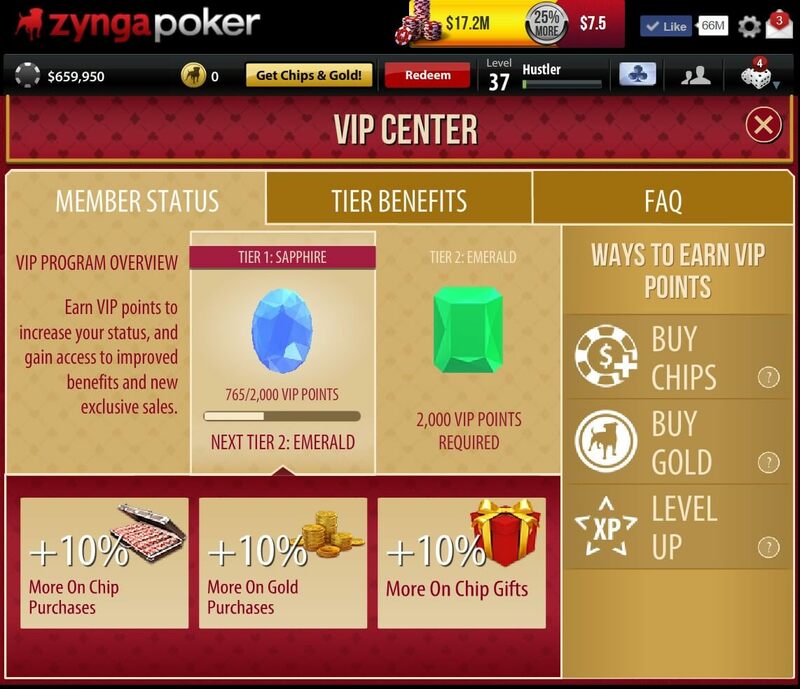 Zynga Poker VIP Program used to be a service that could only be bought by payment. To become a VIP, you would make payment with your credit card and become one of privileged users who can join VIP tables. Now, however, VIP customers still earn this privilege, but they can now become VIP users not by credit card payment but with VIP points that they collect by purchasing Chips or Golds from Zynga itself, playing games, and raising their level. As you play, your Zynga Experience points, your Level, increase, and this increase allows you to become among the VIP. If you want to become among VIP faster, you need to buy Golds or Chips from Zynga itself. In the Web Zynga Poker Game, you will see a blue crystal icon in the lower left corner. When you press this icon, you will see screens that explain in detail how many points you have and what you need to upgrade to VIP. From this screen, you can see your current VIP points and learn how to increase them. The first level is Sapphire. All users start with this level. As you play or buy chips and golds, this VIP points increase and allows you to increase levels. VIP point is a player category for Zynga, just like Levels. Accounts with high VIP points are more secure, not easily banned. If you pass 2000 VIP points, you will switch from the sapphire category to the emerald category. As you get higher, you'll take advantages of the new categories. For example, a user in the Sapphire category would make a 10% profit on chip and gold purchases. In the same way of collecting daily bonuses, a user in this category gains 10% more gifts. A user in the Emerald category is 25% more advantageous for all these transactions. Below we list the categories and their advantages in detail. How do I join Zynga VIP program? All Zynga players are included in the VIP program. They start in the Sapphire category. As you increase the level, and as they buy chips and golds, they increase the category. About Zynga VIP or other issues, you can contact us through SKYPE and ask any questions. 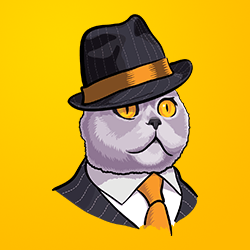 Remember, Poker Kedi is not just a Chip Sales platform, it is also the Zynga Poker Support Line. Now to join us by purchasing the Chip, visit our Chip Sales page.